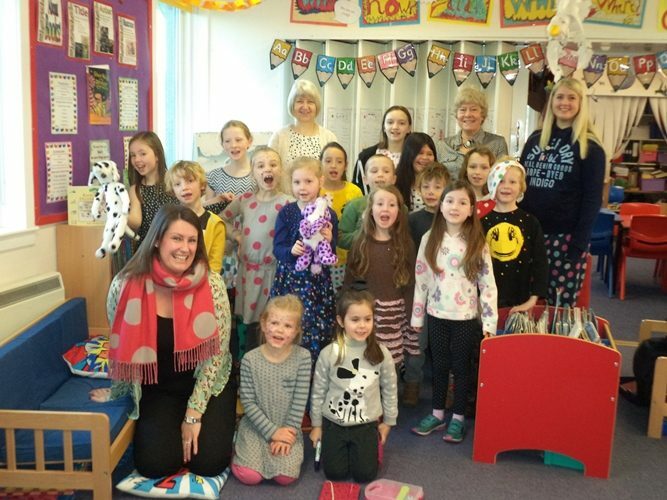 Pupils and staff from Toward Primary School dressed up in spots on Friday 18th November 2016 to raise funds for Children In Need. We raised £90.65. 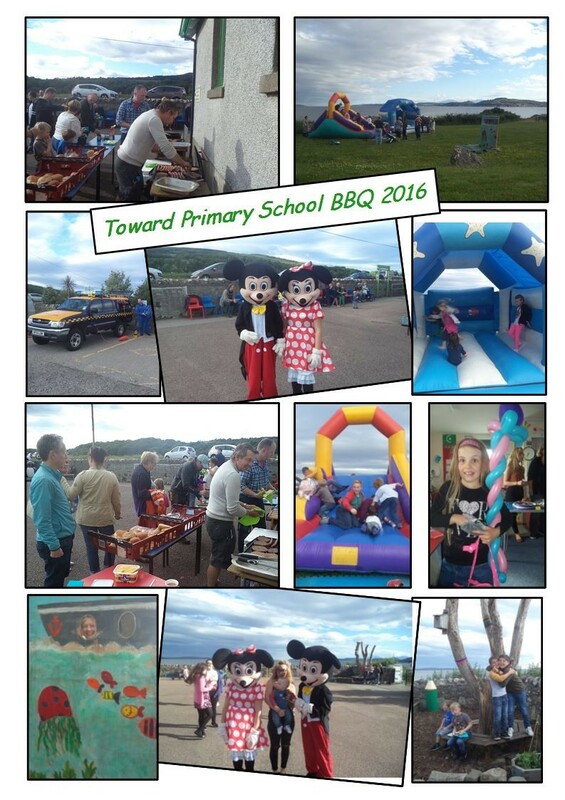 On Friday 17th June Toward Primary School held our annual fundraising BBQ. Everyone had a fun filled evening and raised lots of money for the school. We had a lot of support from staff, parents, members of the community and local buisnesses. 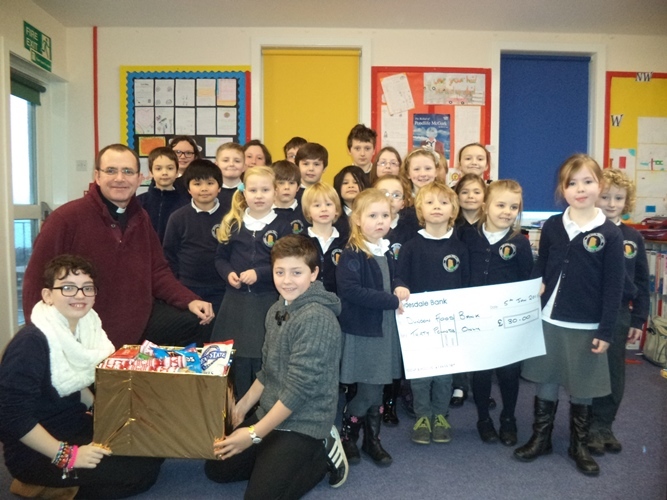 We held a raffle with fantastic prizes kindly donated to the school by Scottish Salmon, Timothy J Sharp (Jewellers), Candice Girard Salon and Chouxmakes Cakes. M&M Bouncy Castle & Character Hire came along with Mickey and Minnie and their bouncy castles which were highly popular with the children. 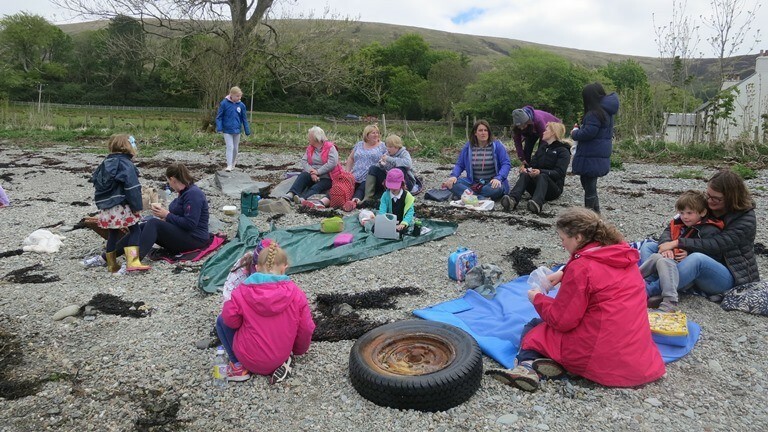 As part of the Innellan and Toward Primary Schools Health Week, the pupils spent the day exploring and researching the history of Inverchaolain Church on Loch Striven. They were joined by parents, siblings and members of the public at various times throughout the day. Pupils from Toward, Innellan, St Muns and Dunoon, supported by Gary Clark and Steven Simpson have been learning how to write computer code. 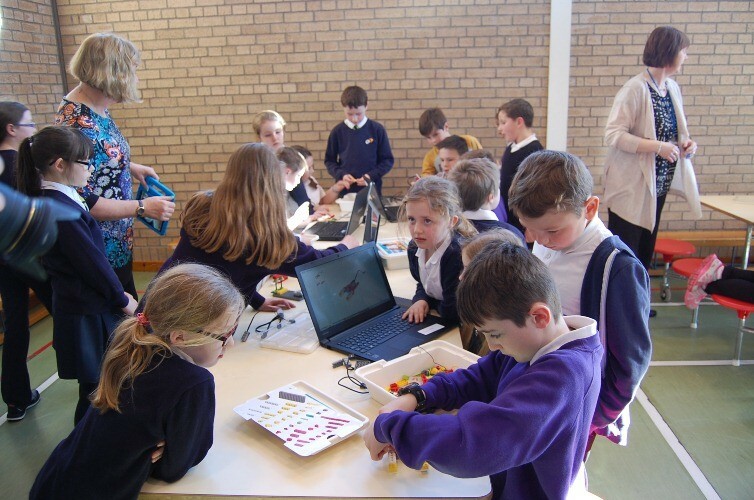 Dunoon has been using Lego WeDo and the other schools have been using Kudo. The progress and improvements in the pupils independent working and problem solving has been fantastic and the pupils over a period of a few weeks have managed to develop a wide range of simple to complex games. 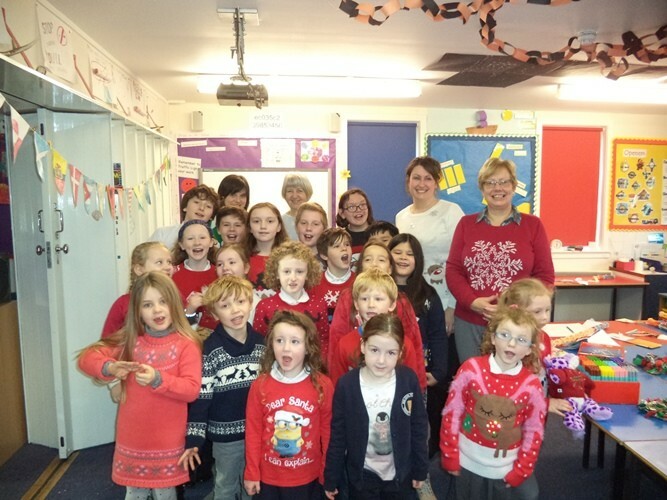 Toward Primary School held a Christmas Jumper Day on Tuesday 22nd December. 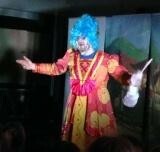 We raised £24.00 which will be donated to the Clown Doctors at Hearts and Minds Charity. Oh No They Didn’t, Oh Yes They Did! With the Christmas holidays almost upon us, the children of St. Mun’s were joined by Strone, Innellan and Toward Primaries and really got into the festive spirit when they were treated to The Rainbow Theatre Group’s pantomime production, ‘Sleeping Beauty’. The traditional fairy tale was retold by the wonderful cast, who had their entire audience, laughing, booing and singing popular ‘chart’ hits from beginning to end. At Toward Primary we have been exploring and creating buildings, objects, and much more using a new wooden construction toy called KAPLA. 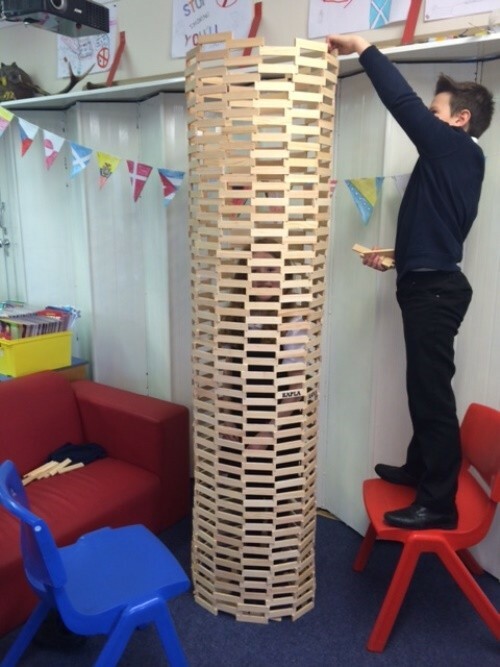 We discovered KAPLA at the recent Scottish Learning Festival. KAPLA is made up of a set of 1000 identical pine blocks which makes them ideal for building many kinds of structures. You don’t need glue, screws or anything else to hold the blocks together. The blocks are held together by gravity and balance. 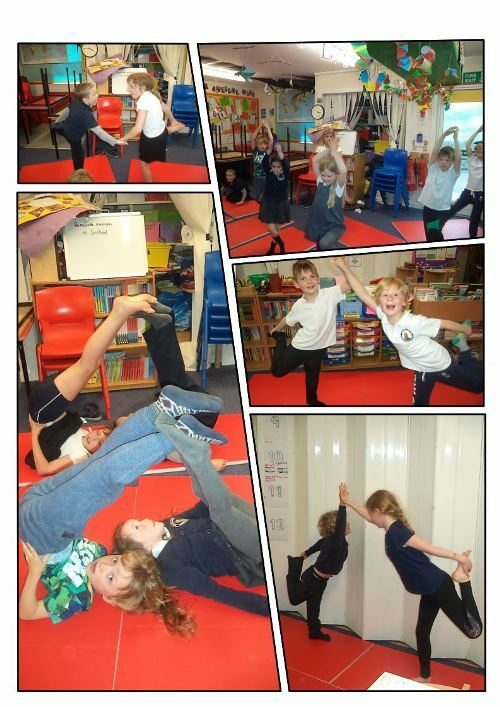 Primary 1 to 3 Pupils of Toward Primary have been working very hard to rebuild Fairyland in their classroom with help from the Friendly Dragon. 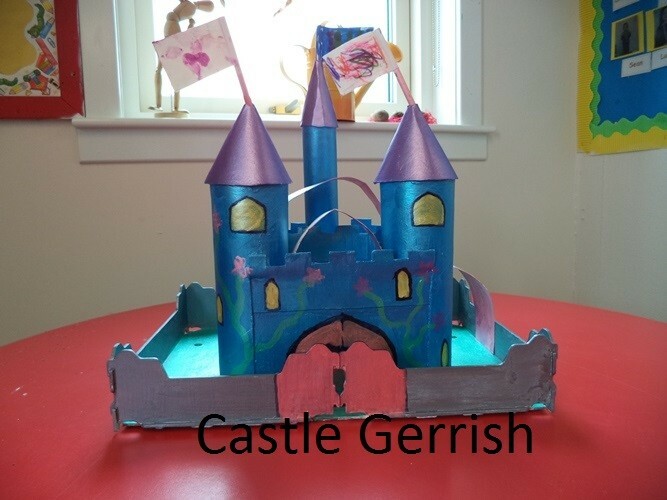 Pupils were given a family learning challenge to plan, design and create their own model of their dream castle with help from members of their family. Sky Academy Skills with Toward and Innellan Primary Schools. 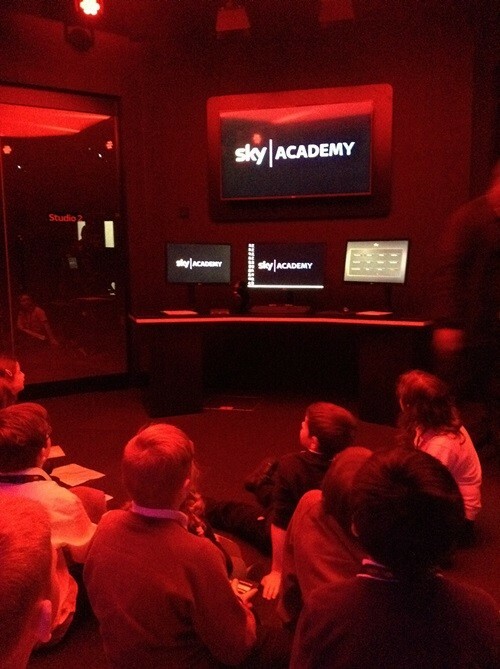 On Wednesday 22nd April 2015 Toward and Innellan Primary schools went to Sky Academy Skill Studio in Livingston to make a news report on Natural Disasters. We got to use green screens, professional cameras (worth £60,000) and wear costumes. There were four studios each working together to make a news report. There were eight roles in each studio – Producer, Director, Scriptwriter, Camera operator, Reporter, Eyewitness, Expert and Editor. 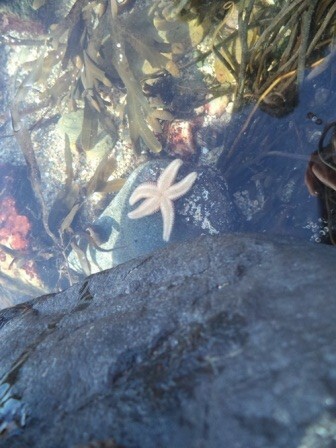 Through active learning, developing their problem solving skills and using relevant contexts the pupils at Innellan and Toward Primaries have been involved in a range of open-ended experiences and investigations which have generated new knowledge and greater understanding of the world in which they live. To really set off the last few days of term pupils from both Toward & Innellan Primary Schools went along to sing some carols on Friday 12th December to the residents of Dalriada Grove, Innellan (Retirement/Sheltered housing). 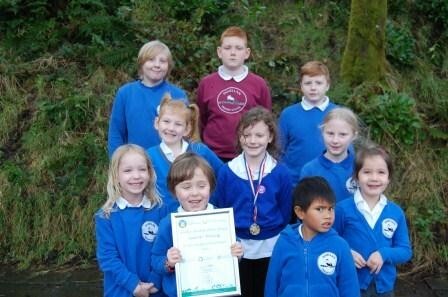 They were well received and as always were a credit to their schools. They wore Christmas jumpers that day and made £44 for “Save the Children – Christmas Jumper Day Appeal”. 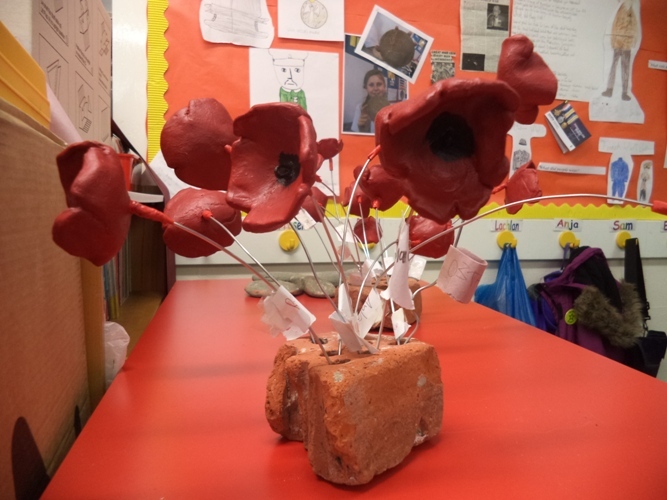 We were inspired at Toward Primary School by the Tower Bridge poppies to make our own clay poppies to commemorate the end of the WW1. We have also made a poppy wreath which we will lay at the Memorial at Innellan on Remembrance Day. Toward Primary senior class pupils recently had the very exciting opportunity to visit Loch Fyne Oyster Bar and Restaurant. 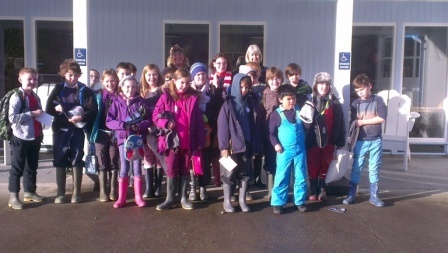 The children started the day with a trip to see the different processes that the mussels and oysters go through in preparation for being sold. 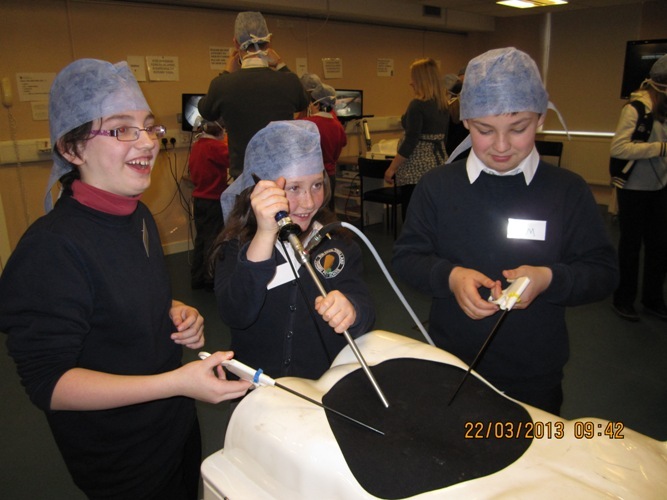 In spite of the weather and the cancelled boats our 3 intrepid travellers had a great time on their recent trip to the Royal College of Physicians & Surgeons. They undertook keyhole surgery (I hope none of them actually have to operate on any of us in the future because they kept dropping things), watched a live operation online, attended a lecture on dentistry and learnt about the dangers of mosquitoes. They also enjoyed dining out, a little bit of shopping and a large hot chocolate. There’s Something Fishy going on at Toward. 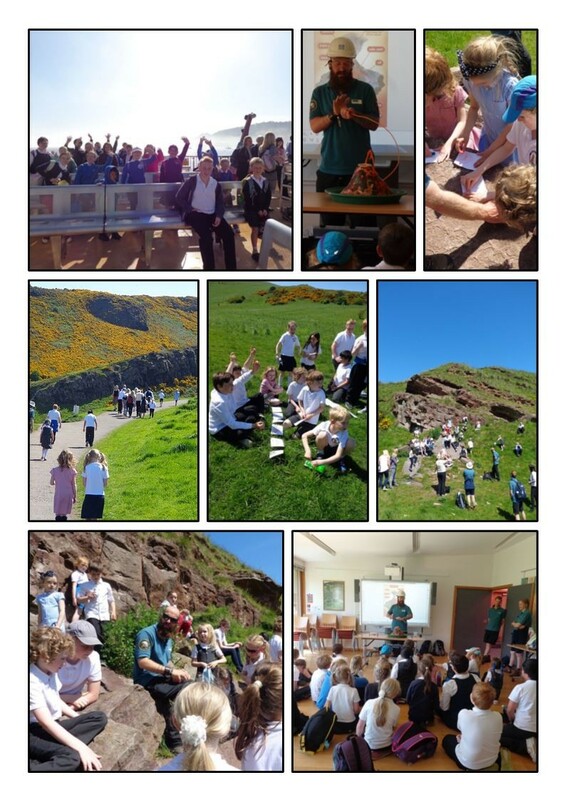 At the request of the pupils and as part of our Crofting Connections topic we invited an expert willow weaver, Mrs Clark, to come to the school to teach the pupils how to make Willow Fish. Now we have shoals of fish swimming all over the school. 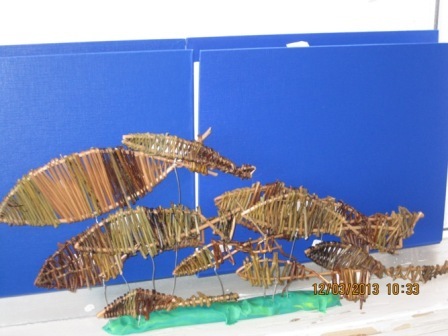 The pupils learnt that the willow needed to be soaked to make it pliable, that different types of willow were used for different parts of the fish and how they had to carefully bend the willow in a figure of eight before twisting it to make the tail. There has been great egg-citment at Toward Primary over the past few weeks. As part of our Crofting Connections project the school bought an incubator and were given some hen eggs. The pupils carefully watched over the eggs, turning them each day and ensuring they were kept at the correct temperature. After a week in the incubator the eggs were eggs-amined to see which ones were fertile. 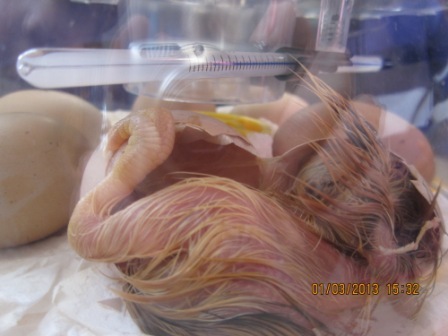 They had 4 fertile eggs and eggs-actly 3 weeks after placing the eggs in the incubator they began to hatch.